is happy to share a special series of articles titled ஸ்ரீபாஷ்யகார ஸஹஸ்ராப்தி மாலிகா "srIbhAshyakAra sahasrAbhdhi mAlikA" on this auspicious year of Bhagavad Ramanuja's 1000th thirunakshathram. Articles in this series are in Tamil and we intend to share monthly one article on ThiruvAdhirai nakshathram. First article in this series named "இராமானுசச் சுடர்" ( irAmAnusach chudar ) is blessed by ஸ்ரீமதுபயவே. திண்டுக்கல். 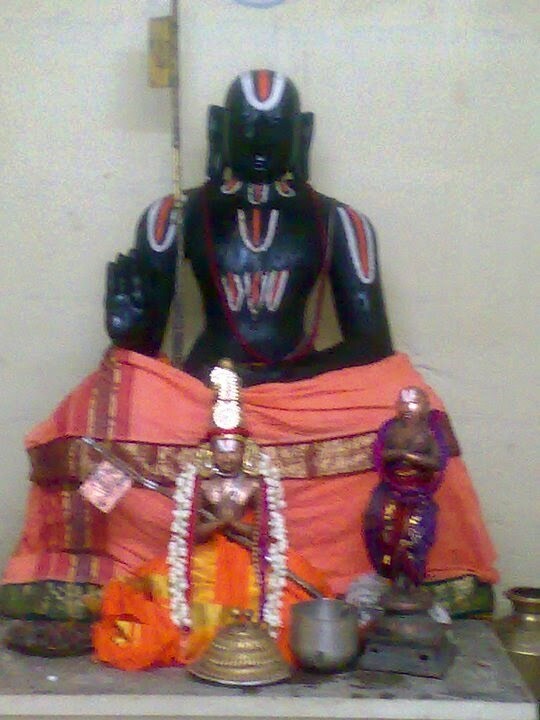 ராமஸ்வாமி ஐயங்கார் ஸ்வாமி, வைகுண்டவாஸீ ( Sri U Ve Dindukkal Ramaswamy Iyengar Swami, vaikunTavAsi ). Adiyen’s sAshtAnga praNAmangaL to Swamin for this parOpakAram. With Acharyan, Swami Desikan and Sri Lakshmi Hayagrivan’s anugraham, Thiruvallur Sri. Raghava Nrusimhan Swamin has identified and sourced the articles for this series; put together these articles into nice documents with sincerity, dedication and devotion. Adiyen’s heartfelt thanks to Thiruvallur Sri. Raghava Nrusimhan Swamin for this invaluable help. Bhagavatas are requested to download these articles from the following link and benefit. Dhanyosmi.